All half, the ball had been flying out of Darryl McDowell-White‘s hands and diving into the bottom of the net. Now, the junior guard was darting in front of a Westmont pass, tiptoeing to keep it in bounds and batting it downcourt to Delewis Johnson. Johnson caught it in stride and finished through contact, extending TMU’s lead to 23 late in the first half. McDowell-White pumped both fists. 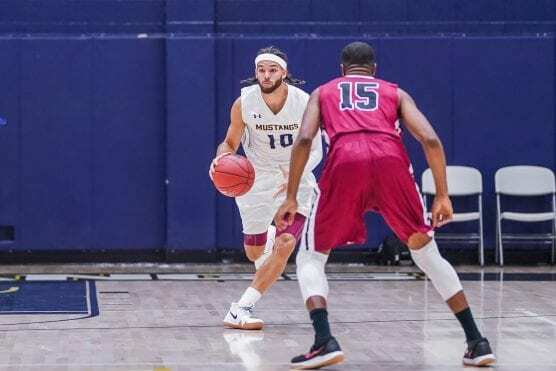 And why not, he was on target and seemingly everywhere in the Mustangs’ 88-66 win over Westmont on Saturday night. It was TMU’s 31st straight home win and its eighth consecutive overall. More importantly, it kept the No. 6-ranked Mustangs (16-2, 5-1 GSAC) in a three-way tie for first place in the Golden State Athletic Conference, setting the stage for a showdown at Vanguard (17-1, 5-1) on Thursday. McDowell-White was sensational in this one, finishing with a game-high 23 points. He made 9-of-11 shots with two steals, a block and the admiration of his head coach. Center Tim Soares keyed in on the defensive pressure part. “All the point guards Darryl guarded tonight are probably dead tired,” he said. Soares contributed 15 points, 15 rebounds and three blocks. Johnson added 21 points, marking the fourth time in the last six games he’s reached at least 20. Starr praised the senior for his complete buy-in offensively, shooting jumpers when the moment presented itself, but largely barreling downhill toward the rim. “He’s leading how a senior should lead,” sStarr said. The Mustangs started slow in this one, trailing 16-15 after nearly eight minutes of play. Starr, though, was pleased with the way his team was defending, its shots just weren’t falling. Master’s closed the half in dominating fashion, outscoring the Warriors 30-7 the rest of the way to lead 45-23 at the break. McDowell-White was in the thick of it. In what he called one his most fun games at TMU, McDowell-White made all five of his shots in the opening period, going an unconscious 4-for-4 from beyond the arc. His 14 points led all scorers. The night was, in a sense, a continuation of practice. McDowell-White said all week he’d been getting extra shots up with similar results. “It was rhythm, rhythm, rhythm,” he said. This was TMU’s fifth straight win over Westmont, its last loss in the series coming in late 2016. This one came on the back of stellar shooting from distance. Starr said on Friday that a decent shooting night would go a long way in Saturday’s rivalry game. 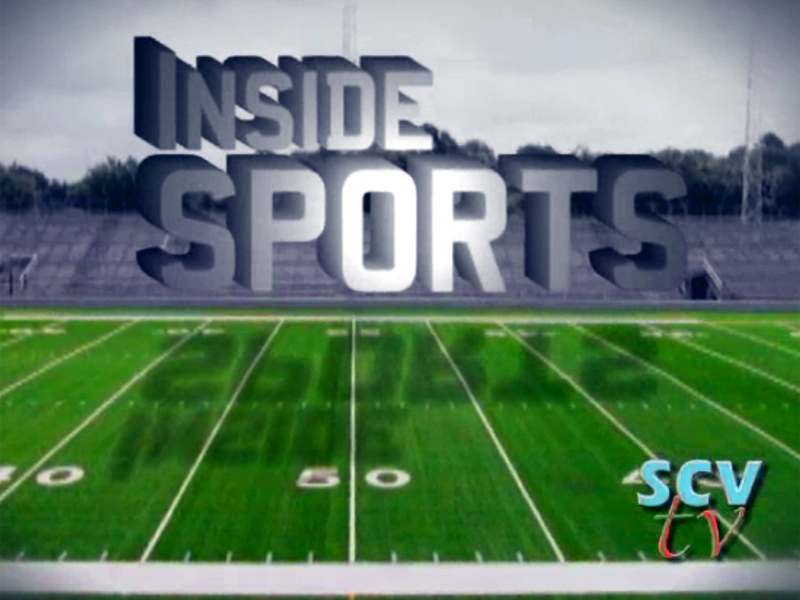 The Mustangs haven’t had many of those this season despite churning out 91 points a night. Saturday, the Mustangs did their coach one better. TMU shot 50 percent from beyond the arc, knocking down 12 triples. Master’s made 8-of-14 from three in the first half, five of them coming during TMU’s decisive run. 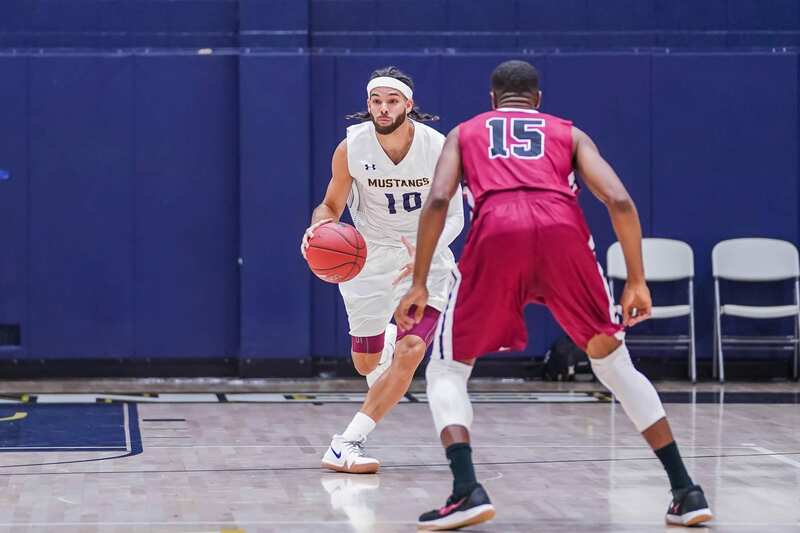 Soares, however, felt the difference in the game was TMU’s defensive intensity, the Mustangs holding Westmont to 37% shooting as a result. Starr concurred. The Mustangs led by as many as 28 after halftime. Maxwell Hudgins led Westmont with 18 points and seven rebounds. Desean Scott added 15 points. Hansel Atencia tossed in 11 points with 11 assists for the Mustangs, who forced 23 turnovers and parlayed them into 30 points. Starr said the game was a sign Master’s was beginning to learn what it takes to win GSAC games. That, he said, was the good news. “The bad news is that it doesn’t get any easier,” he said.